Carbon steel, with 0.12 to 2% carbon, is the material widely used in steel forging. This steel category gains hardness and strength with heat treatment when the percentage of carbon content increases but the ductility is reduced. AISI 1020 steel is a commonly used low carbon steel. It has a good combination of strength and ductility and can be hardened or carburized. Normally, AISI 1020 carbon steel should be forged at 1260°C (2300°F) down to 982°C (1800°F). The actual hot forging temperature in closed die forging process will be decided by a number of factors, such as complexity of the forged part. The proper temperature of forging can only be checked at the beginning of forging, higher temperature will probably cause surface defects, such as mill scales, which will bring uneven surface. And lower temperature will be not conducive to the plastic deformation of 1020 carbon steel forged part. For its good machinability, a large amount of AISI 1020 carbon steel forgings are just machined or applied in the as-forged condition. But sometimes, to achieve a certain purpose, below heat treatment methods will be carried out to meet the desired properties. Complete annealing of this alloy can be achieved between 871-982°C (1600 to 1800°F) followed by slow furnace cooling. This will provide 1020 carbon steel forgings with a tensile strength of about 65 ksi. A stress relief annealing can be performed if required at 538°C (1000°F). Tempering should be followed by heat treatment and quenching at 315 to 538°C (600 to 1000°F) based on the strength level required. For example 538°C (1000°F) temper provides the 1020 carbon steel with a tensile strength of 90 ksi. AISI 1020 carbon steel can be hardened by quenching and tempering. 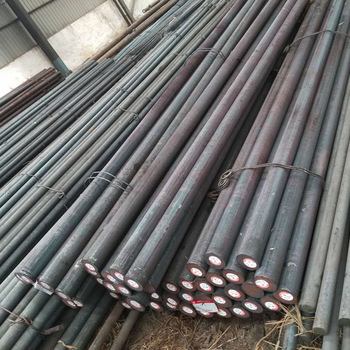 This grade of steel is usually forged for its low material cost and good machinability. Typical 1020 carbon steel forgings are: Automotive forgings, motor forgings, hydraulic forgings as well as other machinery forgings.